That's pretty much got it spot on. You'd be surprised how smooth the ride is though. Remembered to get a picture of it in the daylight for a change today. Yes, that's a much better picture than the first one. I just realized after looking at this second picture that it has a canopy top. Your car just oozes character. I would like to see a picture of the rear if it's not too much trouble. I'm curious how that rear bumper looks. Also, have you ever thought about painting those steel wheels to match the car? I think it would look really nice up against the chrome center caps. I have thought about doing that with the wheels, but I'm still undecided. I'm not sure if it would be too much if I paint them black too, the colour they are currently is what would have been standard (I think). Fantastic, thank you, I really like it. I saw it hanging out a little from the last picture and wanted to see what it looked like. I understand about the wheels, I like to keep some things original myself. Another question, did they offer mudflaps for the rear that resemble the front ones but maybe wrap around the corner? Hey no worries man, I'll talk about cars to pretty much anyone that will listen. You can get rear mudflaps for them, but they're not the same style as the front. This is the closest I can find in a picture, but from memory I think the correct ones were more round than square. As I mentioned at the start of the thread, I really wanted to change the dashboard to that of the higher Club/Charleston spec. Much better! Any luck finding the single-spoke steering wheel yet? You can still get them new, surprisingly. Just not at the top of my list currently, it's a luxury. 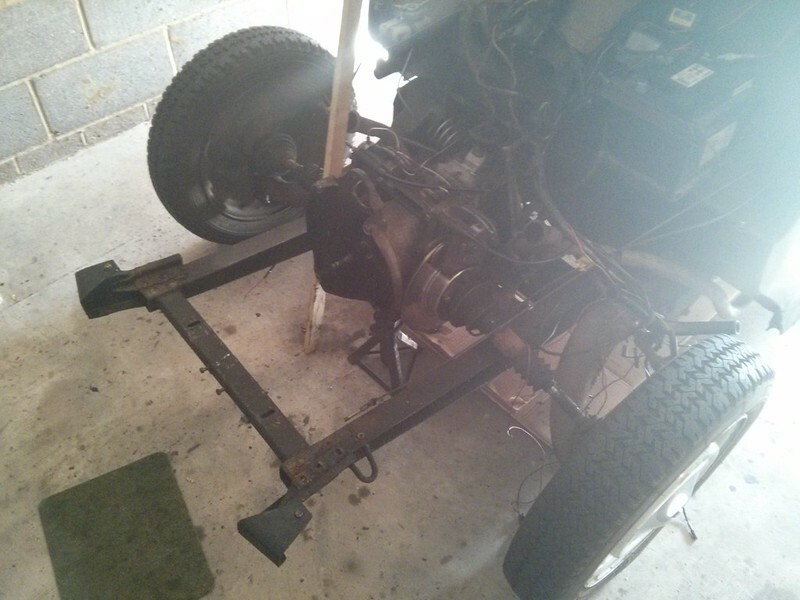 Unfortunately on day one it developed some carb problems, and then on the way home on the last day I seem to have popped a tired oil seal, as it is now bleeding all over my garage floor. 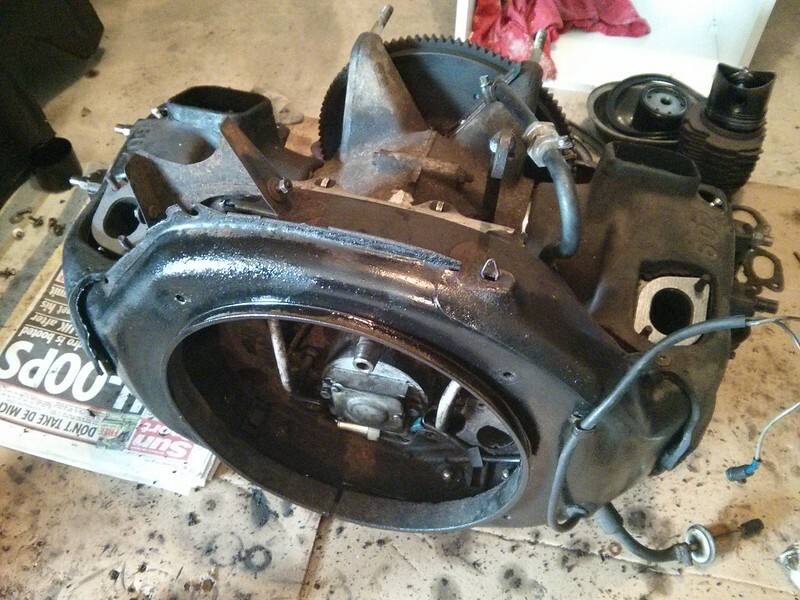 As far as I can tell, it's the rear crank seal, so engine out time. I'm going to pull then engine apart and see how it's doing, with a view to perhaps putting high compression barrels and pistons in, along with replacing every oil seal I can. Expect many pictures. Adamd, have you considered swapping out your points for a Pertronix kit? 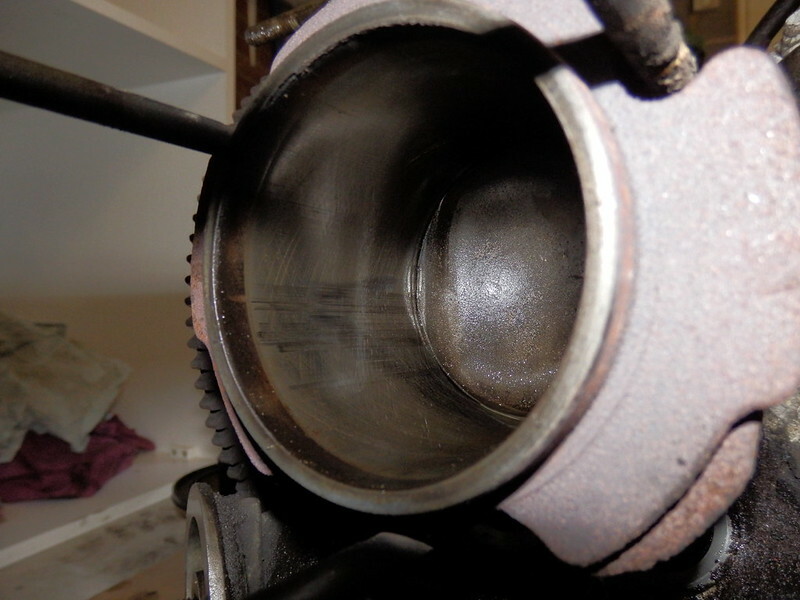 It is very very very simple, you eliminate the whole contact assembly but keep the original distributor. Just as accurate as the contacts, but no hassle. 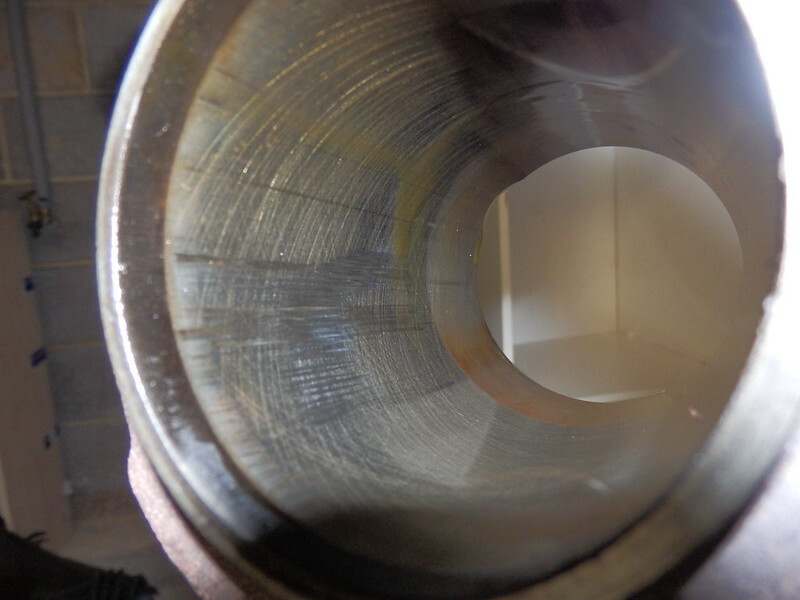 You will never need to adjust point gap again, and you do away with the condenser as well. I would HIGHLY recommend it, I've done it to every vehicle I have which had a contact set in the distributor. It is something I've considered, yeah. 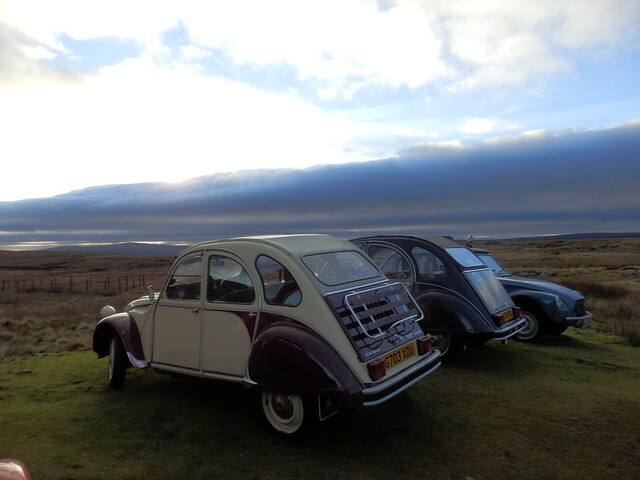 The 2CV has no distributor, just points, condenser and coil doing wasted spark ignition. There are 2 fairly popular solutions over here, one is the 123 ignition which just fits on instead of the points box and works, or leaving the points and fitting something to replace the condenser. I currently have all the bits to fit a points assist system, as modern condensers are pretty shocking and are known to fail very early on. 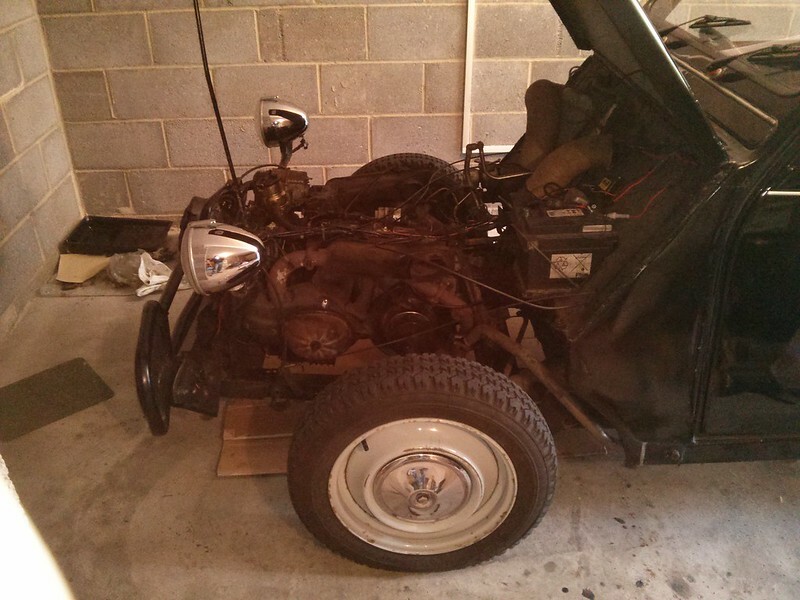 Do Pertronix do something that will fit the 2CV? I guess something that would fit a Harley would do. They do seem pretty reasonably priced. 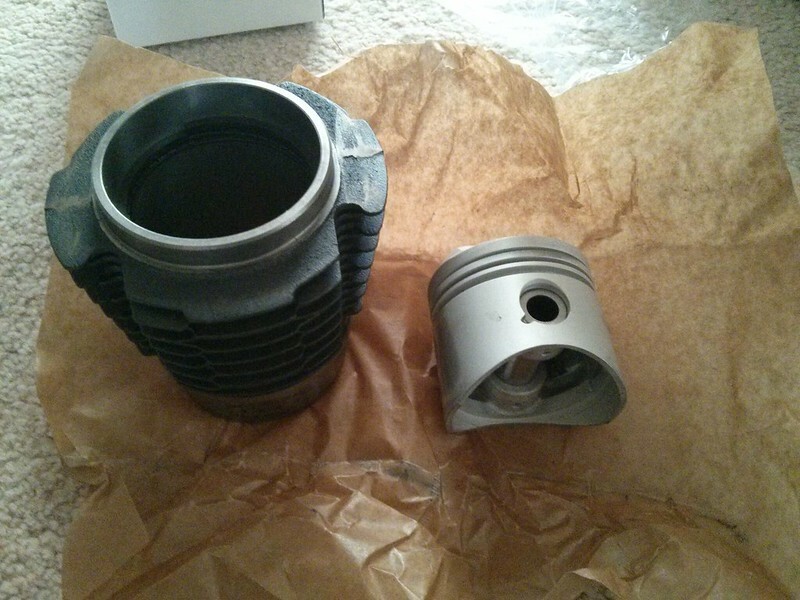 Well, as it turns out, the high compression barrels and pistons have become more of a necessity than first planned. 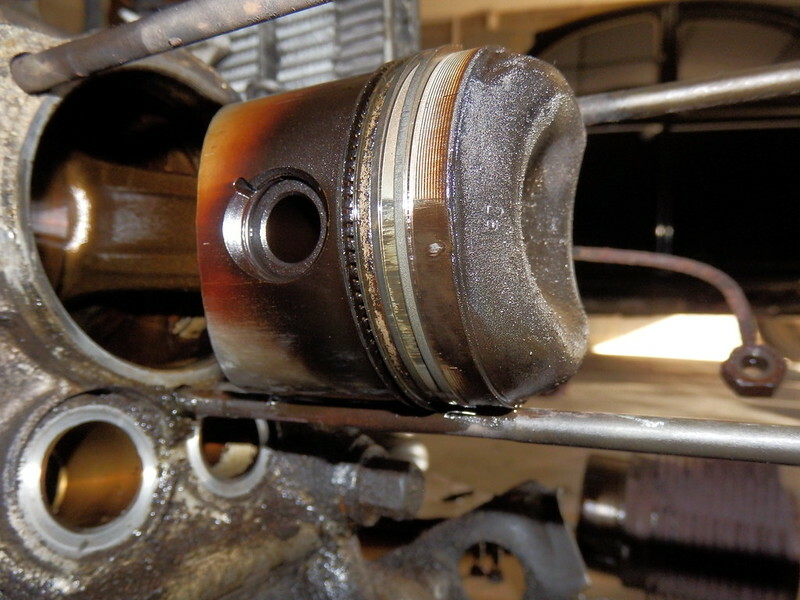 When I pulled the heads to have a quick examine and replace pushrod seals, the left hand cylinder bore is quite scored, and the piston seems to have got extremely hot at some point and has a tiny deformation. As I said above, I'm taking pictures of the whole thing so will get some during the rebuild and get them up. I intend to have it back up and running by the end of this weekend. I am being optimistic. Right, never did get around to posting those pictures. Well, here goes the story of it anyway. How I think this happened was a mixture of the oil cooler being a bit more plugged up than I thought, and the fact the car had mega advanced timing when I got it had probably already done some damage. And absolutely hammering it 50 miles or so each way to the 2CVGB national meeting, trying to keep up with my mates Ami 8. Not that you can really break the speed limit, even hammering it. I felt something was a bit wrong on the way home that day, and it seemed to not like warm starting very much. And quite a bit of oil had gone walkies. 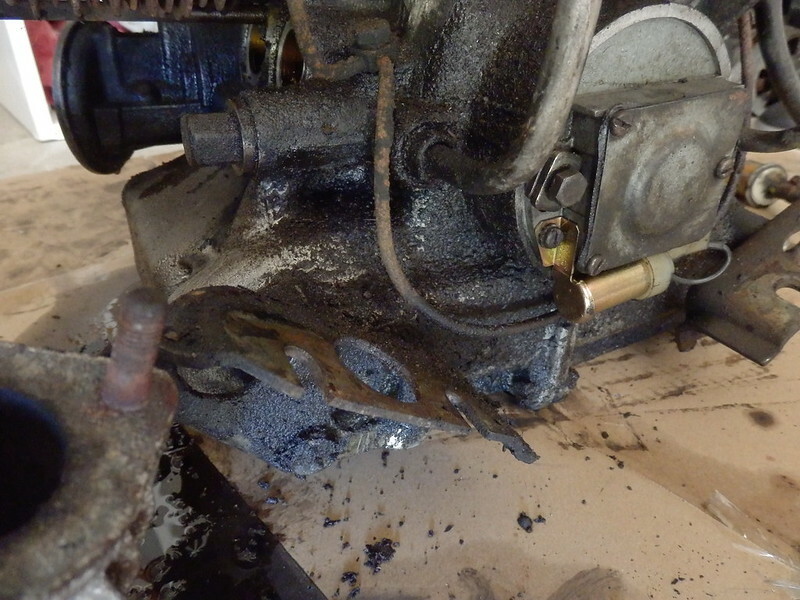 Anyway, at this point I still had a troublesome oil leak I couldn't pin down as the engine was so caked in oily dirt as the leak had existed for many years, so I figured the best way to solve it would be to pull the engine and clean it up as best I could, and check everything was OK inside. Vertical marks = much bad, very score. You could feel them going round with a fingernail. It looked a lot worse with the barrel off. Engine started back up on the 3rd attempt, I do have a video of it somewhere but seem to have lost the link. 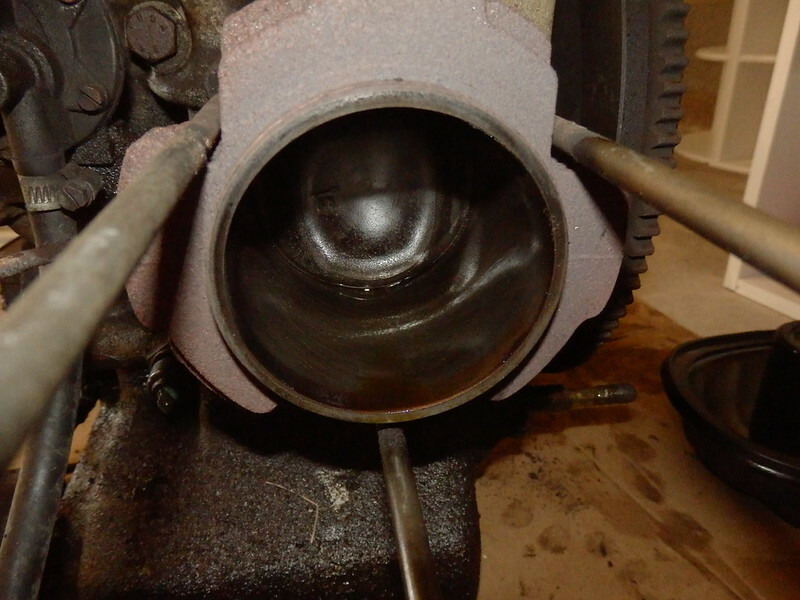 Annoyingly, despite replacing seals, the oil leak turned out to be a corroded pushrod tube, and a tiny hole is letting it out, so that head needs to come off again. It does occassionally leak onto the drivers side brake disc, which can make for some interesting inadverent turning left if you aren't careful. 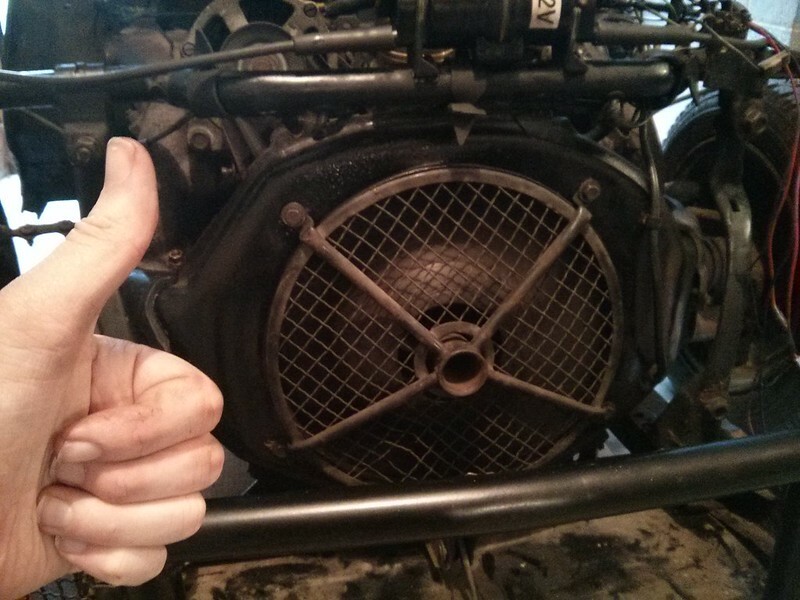 Also rather annoyingly, the carburettor still has a mega flat spot when cold and has an uneven warm idle. 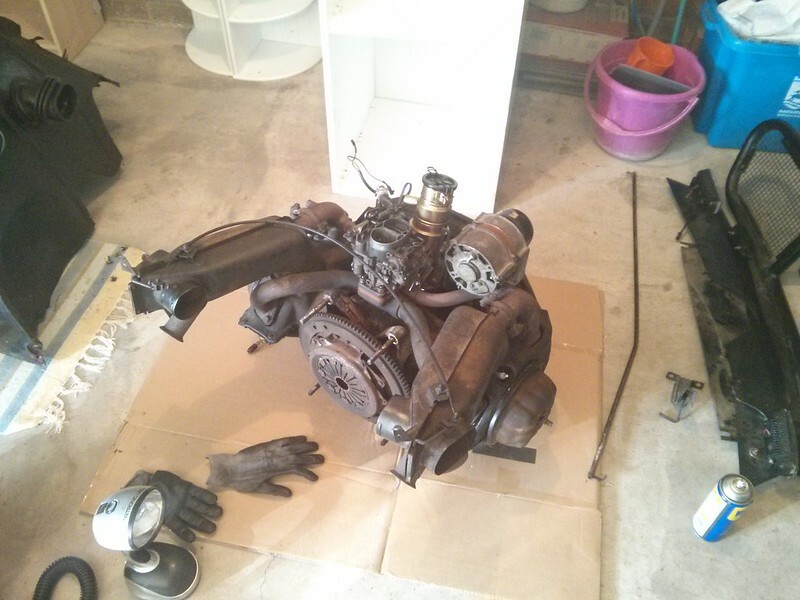 I do have another carb waiting to be rebuilt to put back on however. 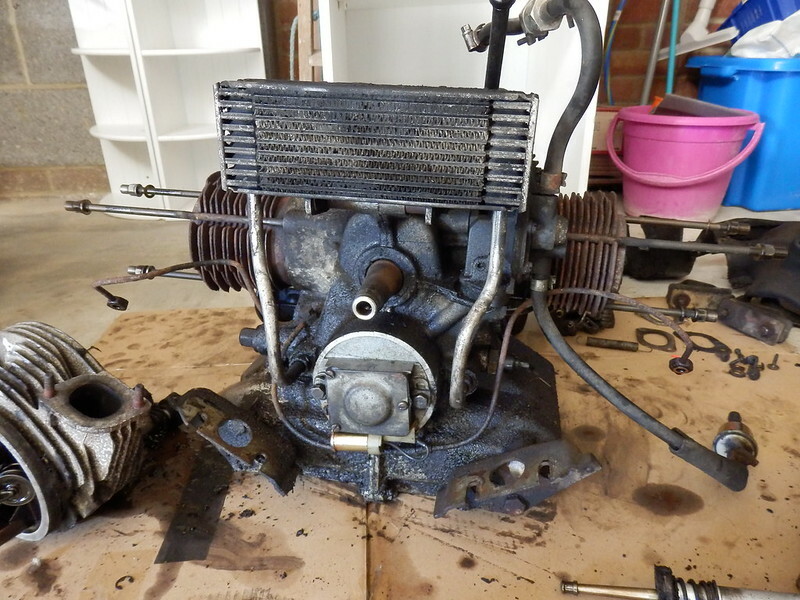 Once warmed up however, and ignoring the oil leak, the engine is worlds better. A lot more midrange poke, and you need less effort to keep a speed up once you get there. It's not quite as revvy but I'm putting that partly down to the feel of the engine being better midrange now, and it still being a bit tight after 300 miles or so. In honesty, the car had been annoying me quite a lot doing things like this, and then I uncovered another couple of problems since and I was well on the way to selling it. However, I haven't even had it a year yet, so I think I'll keep it a little while longer, perhaps get the bodywork improved, and sort out the carb and oil leak issues. It also has mega chunky snow tyres on, so might have to help me out if the GT86 can't manage if we get a bad winter.